For those of you keeping track of such things, you may recall my report from the fall of 2013, when I was invited out to the south of Poland to visit the Dressta factory with a group of international journalists. Dressta had recently been purchased by LiuGong, and had invited some media members out for a tour. That article was re-produced on our website as a back-issue; With that event in mind, when I received a call from a PR Agency working for LiuGong Construction Machinery to invite me to San Diego for their Tier IV unveiling event this past October 11/12, it didn’t take me long to convince my wife/business partner Debra, that this was an event worth attending. Sure enough, upon my arrival at the Hilton San Diego on Tuesday afternoon, I was greeted by Marcus, Ivana, and Stacie, Hugo and Mike, along with Jessica and her PR crew. As in 2013, the hospitality shown by the LiuGong organization was top notch. We had a phenomenal group dinner that evening, and got to sit with the product managers, trade travel stories and learn a bit about what we would see at the demo site the next day. Wednesday morning we took a 30 minute drive out to Mega Machinery – the local Dressta distributor, who graciously offered up their yard for us. 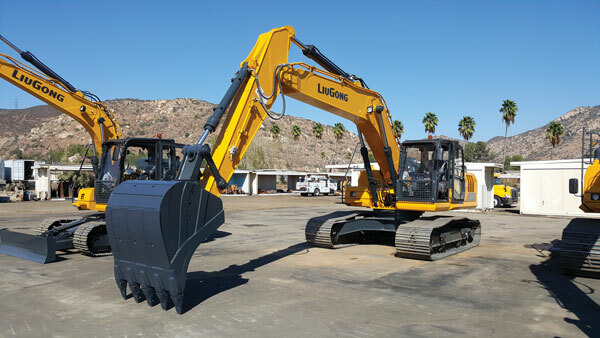 On display in the parking lot were several wheel loaders and excavators from LiuGong’ S Tier IV Final collection. We were split into 2 groups to go through the machines. My group saw the excavators first, with product manager Mike Watt. Mike is a very knowledgeable guy, able to answer every question we sent his way. You can tell Mike is highly devoted to what he does. He is very passionate about these new machines. The new Tier IV Final excavators have been vastly improved over previous models. 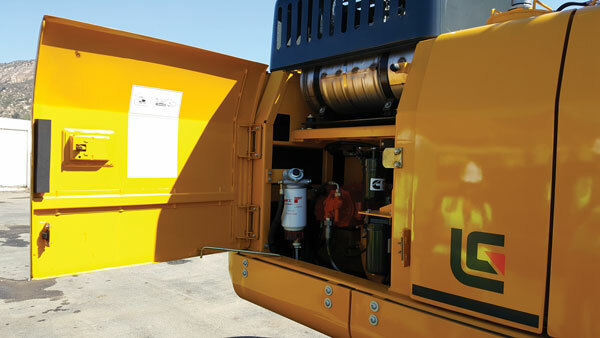 Easier access for maintenance, easier visibility for the operator, improved design and several new components. 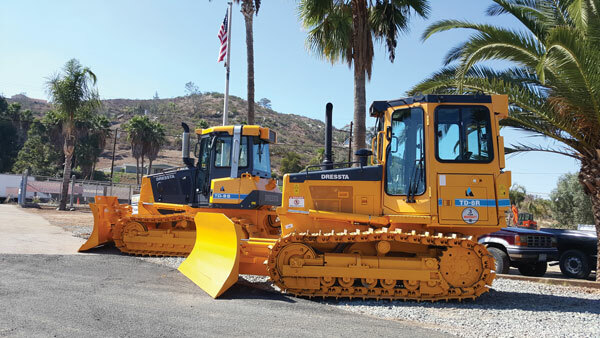 Mike made a specific point of talking about their long-awaited ROPS certification, which came through for these models. A full list of the new features can be found on the LiuGong website at www.liugongna.com/products. 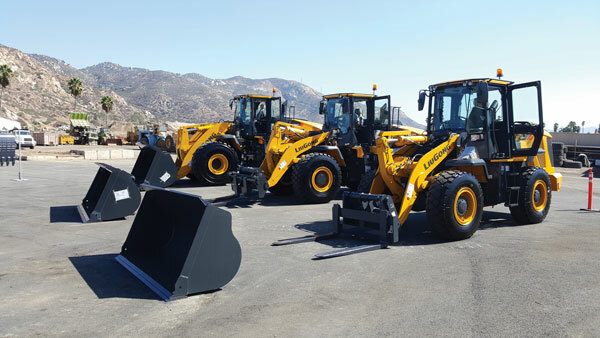 Next up were the wheel loaders, including the all-new 856H. Hugo walked us through all 3 loaders. 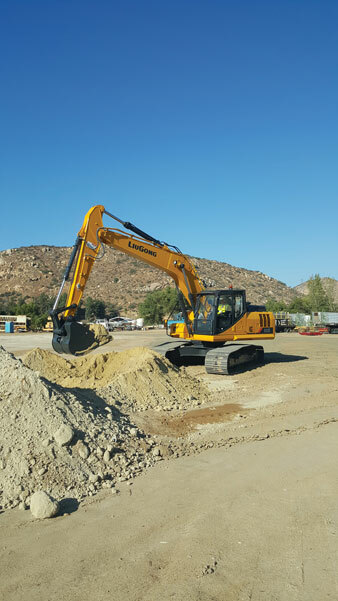 As with the excavators, there are a quite a number of new and/or improved features including back-up cameras, easier maintenance access and improved cab design, among many other items. Hugo is a definite asset to the LiuGong organization. He has travelled the world over his career and has a wealth of knowledge on these machines. He played an integral part in their development, and like Mike, is very passionate about what he does as well. We completed our time at Mega Machinery with a live demo of the 922E excavator next door. If you check out our Facebook page, there is a video of the machine in action. Keep in mind the operator was a journalist, not a professional operator! After the demo, we were afforded a Q&A session with LiuGong’ S Chairman Zeng and other board members, who had made the journey to North America for the event. As the head of a major Chinese corporation, he was surprisingly open and frank with us. 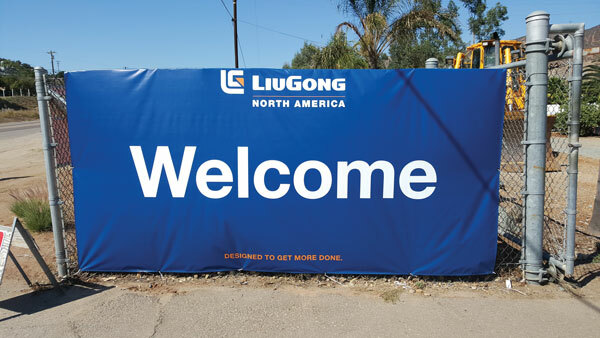 He knows that plenty of work lies ahead on all fronts for LiuGong in North America, but also pointed out their successes so far in this “difficult to break in to” North American market. They have built strong relationships with major component manufacturers. They are listening to their dealer network and end users in Canada and the USA, and appear to be on their way to becoming a major supplier here. These Tier IV Final machines were a big step in this direction. The board members were set to visit with the dealers as well; the dealer portion of the event started up that evening, so our time came to a close Wednesday afternoon. As it happened, several of the media invitees didn’t fly home until the next day, which gave us an opportunity to spend an evening in the Historic Gaslamp District downtown, which is a fantastic neighbourhood full of live music, restaurants and entertainment. Not to be missed. My Poland trip in 2013 ended with an exhausting 19 hour driving/flying/travelling extravaganza. This trip home was a much more palatable 3 hour flight, and the hospitality shown to me again by this organization won’t soon be forgotten.